Up until this year, I really did not see a need for a different photo editor beyond Apple’s Aperture 3.x. I envied from a far the Adobe Photoshop community and their endless supply of support. The price of joining the Photoshop world is steep. One must invest not only in the tools of his craft but in one’s self as well. Entering a new chapter of digital photo-processing. To help in this large undertaking, I have enlisted Photoshop guru Scott Kelby…kind of. I will be using his acclaimed book, The Adobe Photoshop CS6 Book for Digital Photographers, as my guide over the next few weeks. In fact, November of 2012 will be dedicated to getting comfortable with Photoshop processing. Wish me luck! If you have any tips, suggestions, websites, books or other materials you found helpful in taming the Photoshop beast, please, tell me in the comments below. Thank you! This entry was posted in Photography and tagged adobe, apple, book, cs6, extended, iphone 4, learning, macbook pro, photoshop, scott kelby, training. Bookmark the permalink. The Adobe videos on YouTube are excellent – http://www.youtube.com/playlist?list=PL8CD311D44D0539FB. If you can master selections, masking, and layers, that’s a great foundation. (The Topaz ReMask plugin is a huge help, too). And, if you are willing to spend the extra money, Lightroom is a fantastic tool that integrates well with Photoshop and that will save you hours of processing time. Looking forward to seeing what magic you achieve! Thanks for the link, Barbara. Thanks for the LR suggestion but I am very happy with Aperture 3.x. I have tried LR in the past and it is just not for me. PS will work happily with Aperture, too. I am very interested to hear about how this goes for you. I jumped into Photoshop a year ago with CS5, but have not been able to get comfortable with it. If you can help me find better beginner resources, that will be a real boon. I keep finding things that assume I already understand how the product works at some level. Contact him about future training classes and drop my name. I guess you already know it: I use practically no processing for my photos, apart from a little cutting and adjusting light and color – for which I use something as simple as Picasa. However, I have a plan for dark winter evenings to learn HDR photography, and am considering buying PS Elements for this. (Hope it can be used for HDR). I have read about and seen the good results coming from Photomatrix. Thanks for your advice and the link, it’s probably worth taking this option into consideration. I’ve been using Photoshop Elements for years now but I know I’ve barely scraped the surface of what it is capable of doing. I love my Scott Kelby book about PSE – I think it is great that you can just look up what it is that you’d like to do and he gives you step by step instructions. This week I will start to seriously use the Kelby book. 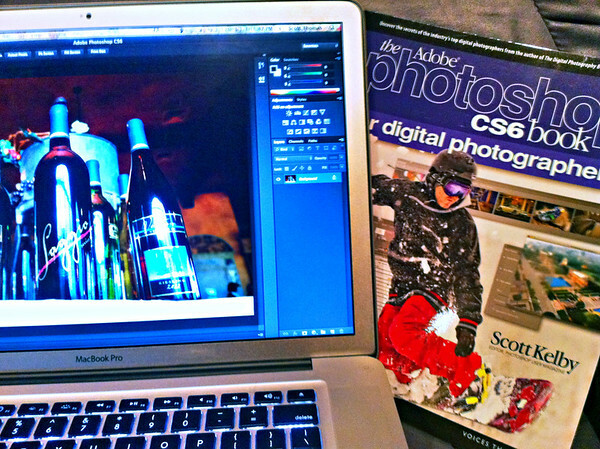 I have all this Digital Photography books so I know it will be an excellent resource to learn CS6. Especially for those “Who Do I Do That?” kinds of stuff I want to do. I’ve been wondering whether to go from Aperture to PhotoShop but heard too many stories about the difficulties of learning it. It will be interesting to see how you make out. I am not leaving my beloved Aperture. I will use PS as an External Editor when I need it or use it for special graphic projects. Aperture will still do the bulk of my photo management and editing. Glad to hear you call it beloved. I see that I worded my comment poorly. I meant to say add PhotoShop just as you described. Scott, good luck in your endeavor. Trust me, the time and effort you put into Photoshop will be well worth it my friend. Dive in! Thanks, Mike! Diving will commence soon! Get ready for email questions!